This one is a bit of an oddity. 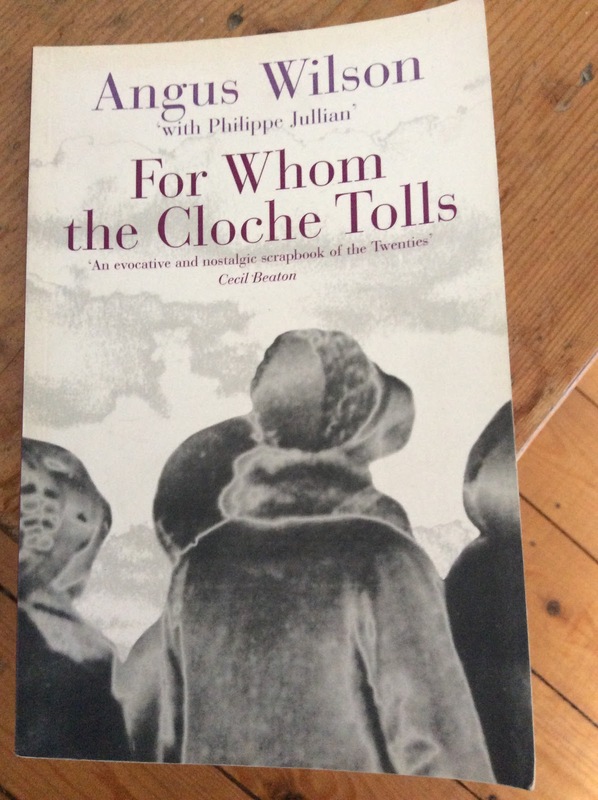 I regularly see Angus Wilson's name on the spines of old Penguins and similar, as regularly think I should one day read him to see what he's all about, and then immediately forget all about it. I picked up 'For Whom The Cloche Tolls' on Thursday in a charity shop, attracted by the illustrations as much as anything, and then read it on Friday evening almost by accident - it's a quick read. This is a House of Stratus reprint - so the cover isn't very appealing, and there's no introduction (which is a shame, a quick look online didn't reveal a lot about it either) but for £2.25 in Age Concern there's no need to be picky about details like that. The front cover quotes Cecil Beaton declaring that it's 'An evocative and nostalgic scrapbook of the Twenties.' The back tells me it's the story of 'the fun-mad, man-mad Maisie, a red hot grandmother from Texas.' The inside reveals a series of letters, diary extracts, and 'snaps' that circle around the central figure of Maisie - widowed in 1919 at the age of 39, extravagantly wealthy, and determined to enjoy herself. Not a fan of D H Lawrence so particularly enjoyed this one. Enjoy herself she does, much to the disgust and disapproval of her sister in law Alice. Maisie's children are bright young things, and her friends and family cover all of the stereotypes you could hope to find. It's a lovely bit of satire softened just enough by nostalgia to avoid being overly cruel. 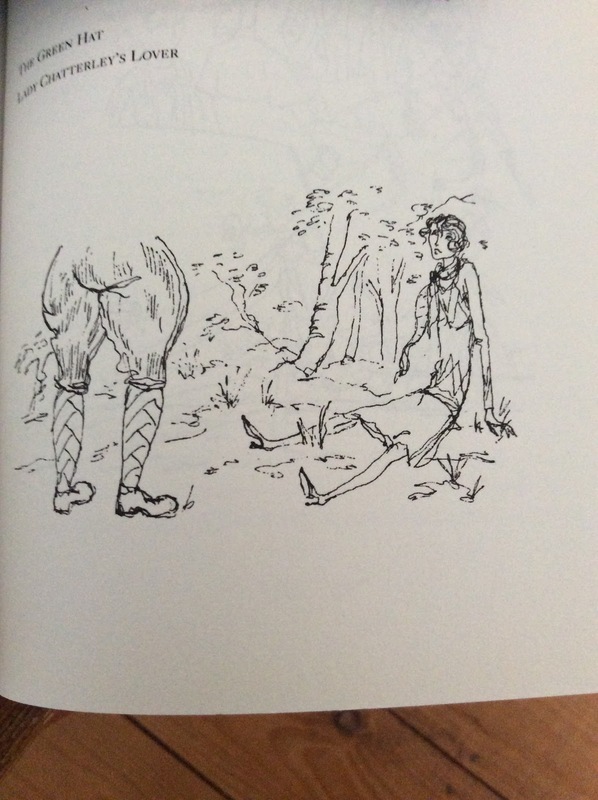 The illustrations are half the book, and like the text just avoid cruelty. In the end all I can really say is that it was funny enough to be thoroughly enjoyable and sharp enough to make me think I really do need to learn a bit more about Wilson and read him properly. Anyway I had the tin, the gin, the time, the likelihood of an appreciative co cake eater, and plenty of lemons and limes so I had a go. I changed the original recipe (which called for a whopping 10 measures of gin - or almost half a bottle) a bit and am reasonably pleased with the result (it still has a bit to much gin in it) so will give 'my' version. Start with a lined 2lb loaf tin and the oven heating to 180 degrees. Weigh 3 eggs in their shells. 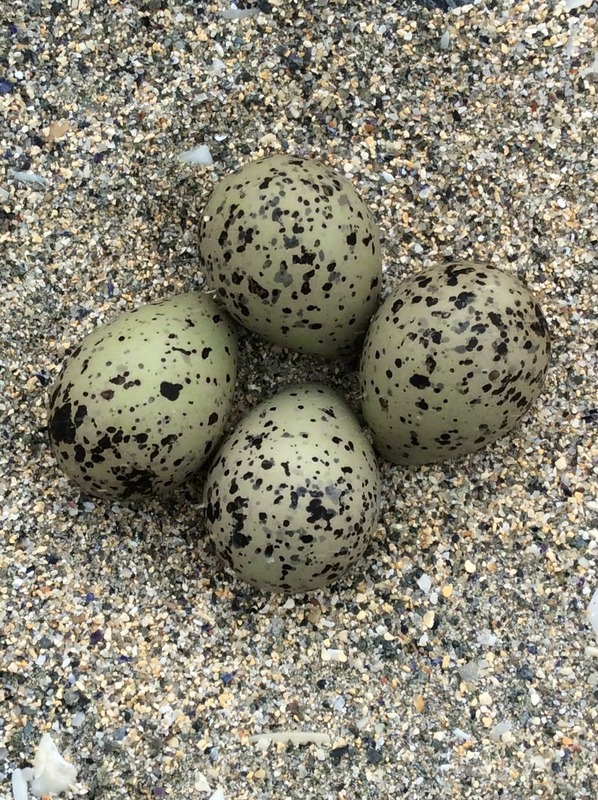 If they're largish eggs they will come in at about 7 ounces, much under or small eggs and you'll want 4. Weigh sugar and butter to the same weight as the eggs and cream together until light and fluffy. Take the same amount of self raising flour, the grated rind and juice of a lemon and a lime, and the eggs - add them slowly and beat well. Bake for about 45 mins or until a skewer comes out clean. I added gin to the sponge at this stage too, but don't actually think it needs it so won't do so again. When the cake is almost done make a syrup with a couple of spoons of sugar, the juice and rinds of 2 more limes and another lemon, and when it comes off the heat a good slosh of gin (2 measures should do). Stab the poor cake repeatedly when it comes out the oven and poor the syrup all over/through it and then leave to soak in whilst it cools. Finally make an icing with the juice and rind of yet another lime, icing sugar, and another good slug of gin. 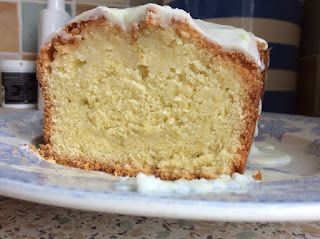 Using limes rather than just lemons gives more of the zing that a gin and tonic would deliver (this is quite a potent cake) but gin should work beautifully with pretty much any citrus fruit do there's no need to be especially fussy about it. I'm about half way through 'Waverley' now and the tension is picking up. Something big is brewing and our hero is slowly being radicalised into the Jacobite cause - I'm pretty sure the Prince is about to turn up and the clans rise at any moment. It's easy to forget just how influential Scott is, but he pioneered numerous fiction genres and his particular, and particularly romantic, vision of Scotland is woven into our collective conscious - quite literally as he's credited with inventing the idea of clan tartans. Reading 'Waverley' now, at a point where the union between England and Scotland looks ever more precarious is interesting. "Shall this be a short or a long chapter?- This is a question in which you, gentle reader, have no vote, however much you may be interested in the consequences; just as probably you may (like myself) have nothing to do with the imposing if a new tax, excepting the trifling circumstance of being obliged to pay it. More happy surely in the present case, since, though it lies within my arbitrary power to extend my materials as I think proper, I cannot call you into Exchequer if you do not think proper to read my narrative." And then, bless him, he goes on to tease the reader with what is essentially a page long list of wines and things that might be hunted and eaten before promising to "...proceed in my story with all the brevity that my natural style of composition, partaking of what scholars call the periphrastic and amabagitory, and the vulgar the circumbendibus, will permit me." Coming, as it does, at the point where our hero is getting thoroughly out of his depth it's a chance to take a pause and get to know the story teller as well as the story. I love Scott for giving me the chance to share the joke with him for a moment, that and introducing me to the word circumbendibus. Meanwhile the country setting is a reminder that I haven't got round to writing about 'Murder Strikes Pink' yet. 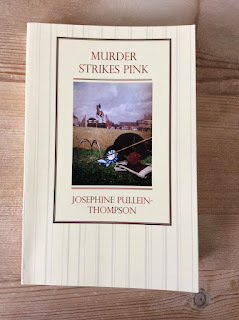 It was my second Greyladies purchase, and the second of their Josephine Pullein-Thompson detective novels. Like 'Gin and Murder' it has a horsey background but this time in show jumping rather than hunting. Theodora Thistleton is wealthy, ageing, and hugely unpleasant. Passionate about showjumping, and even more so about winning, she bullies her relatives, her grooms, her secretaries, and her rider (who is loosing her edge and hitting the booze as a result). 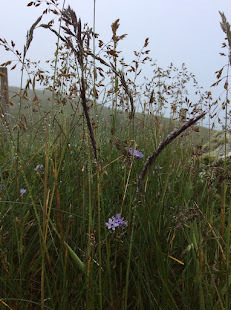 Theodora's cousin, and heir, Laurence has a marriage on the rocks which is all adding to the tension as his wife, Marion, is drafted in by TT to dogsbody after the majority of her staff decide they've had enough and clear off en masse. And then TT is found dead, poisoned, and everyone has a motive along with an opportunity. My favourite book featuring showjumping will probably always be Jilly Cooper's 'Riders', partly because I read it (more than once) at an impressionable age. 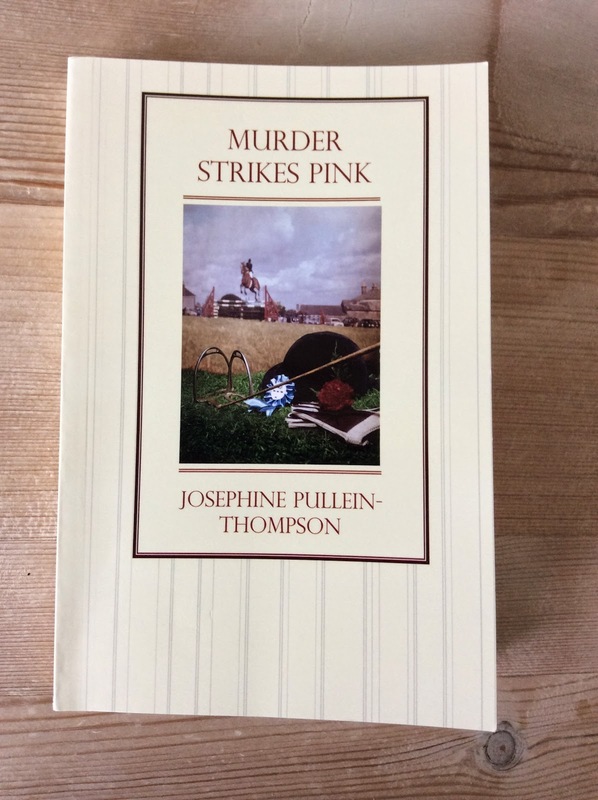 Josephine P-T's showjumping world is less glamorous and more believable (there's something gloriously English about the fatal dose being delivered via a thermos of pink milkshake in the owners enclosure) but 'Murder Strikes Pink' lacks something that 'Gin and Murder' had. The plot is as ingenious, though it's easier to spot the who, if not the why, in this one. Perhaps the problem is the TT is so universally foul to all around that it's a surprise it's taken so long to do her in. It helps if you can feel some sympathy for the victim. It's a small quibble however, and overall this is thoroughly enjoyable with touches that make it something special. One of the put upon secretaries is spectacularly annoying - she's clumsy, forgetful, talks to much, is obsessed by who's turn it is to do a task, and constantly bemoans how unkind or unfair people are. She could so easily be a charicature but instead I had the impression of a woman employed by a bully because she will be so easy to bully, of the Sour atmosphere that arises when 3 middle aged women share a house together, especially when one is a much weaker character and all are somewhat embittered, and all the petty frustrations of unhappiness. given real humanity. Both books are well worth seeking out for an afternoons entertainment. My charge for the day. 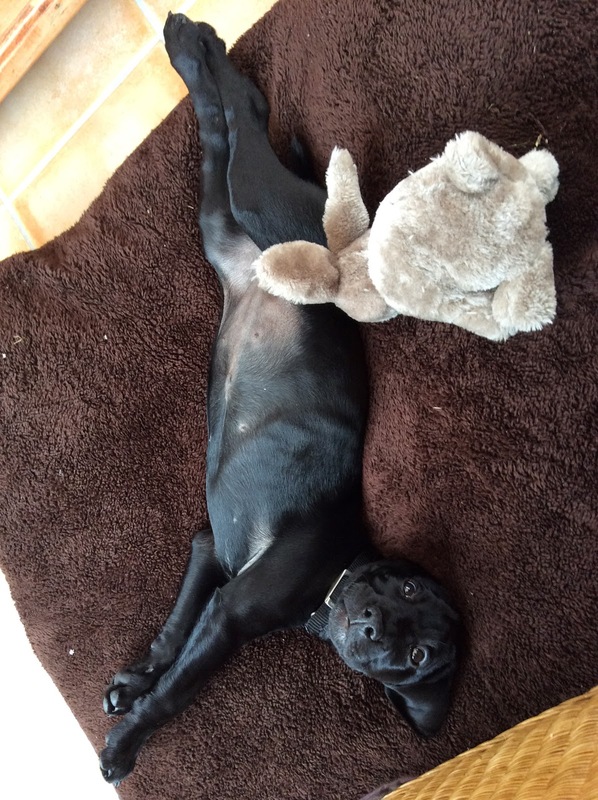 One of us will end up tired out. I'm willing to bet it's me. 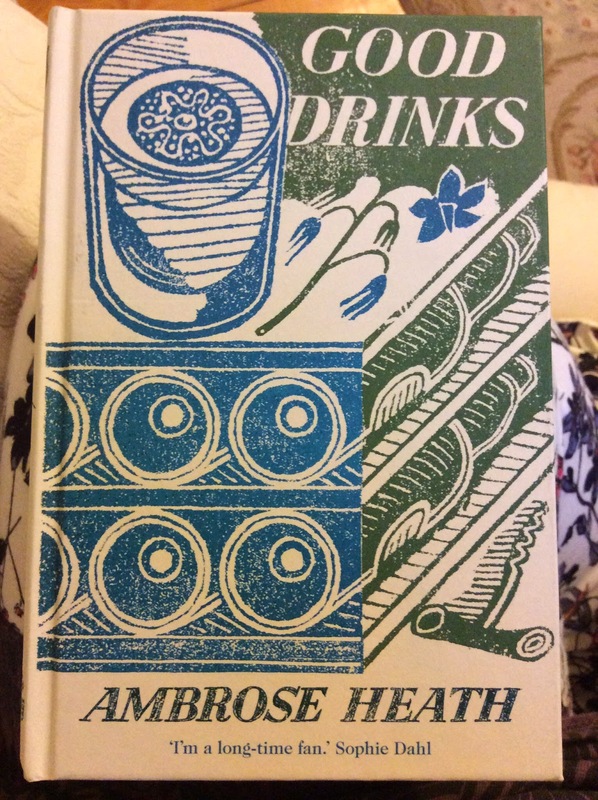 I've never cooked from any of the Ambrose Heath books I have (which is 4 now) but I do love reading him. Persephone books have published a couple (Good Food on the Aga, and The Country Life Cookery Book') and do have Faber & Faber have reissued this one (which they first published in 1939) and 'Good Food' (1932). 'Good Food' has the added bonus of charming chapter heading illustrations by Edward Bawden. 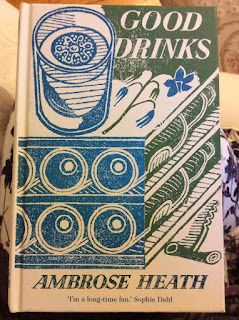 The only thing I don't like about 'Good Drinks' is the 'I'm a long term fan' quote from Sophie Dahl on the front, and then only because I think, small as it is, it gets in the way of the original cover art - it could have gone on the back in inch high letters with my goodwill (as if that mattered). Heath's worth reading because he's informative about food generally, great for historic detail on cooking in the inter war years, and amusing with it. He is however short on details - recipes for cocktails (part 1: Hard Drinks) are confined to a list of components and ratios, nothing about temperature, glass shape, shaking or stirring, or any other helpful tips. 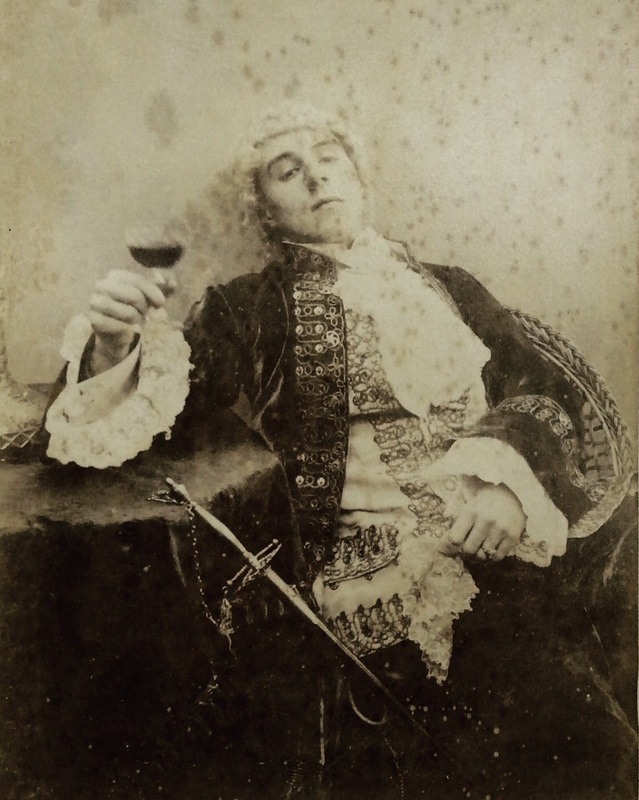 It speaks of a different age of cocktail drinking, or perhaps more specifically it speaks of a comfortable middle class inter war lifestyle. There are more things I find interesting in here than tempting (if anyone wants to experiment with a mahogany - equal parts gin and treacle, please report back...) and some things that Heath clearly found more interesting than tempting (a Kitty Highball: claret and ginger ale, which is as he comments Prohibition getting its own back - he puts it in 'Curious Drinks'). I think his opinion of the Texas Highball must have been even lower, this mix of bourbon and port served with a little ice gets a (!!!). A sentiment I concur with. There are things I will make though - Mexican hot chocolate, a mix of chocolate coffee and vanilla isn't ground breaking but sounds great. A Honeysuckle turns out to be a rum hot toddy, but with a much nicer name. Gluhwein, Glogg, Mulled Wine, Mulled ale, Wassail, and negus are all covered and take us back far further than the 1930's. 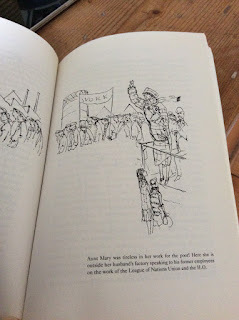 The section on punches and cups is a delight, if I ever get a reliable source of mulberries I would very much like to make mulberry brandy as an alternative to sloe gin. All together then it is potentially a practical book, though I expect I'll spend much more time reading it than drinking from it. Either way it's a great little book to have to hand. I've just started reading Walter Scott's 'Waverley', it's always a slightly nerve racking experience starting a Scott novel because although I like him he also requires a bit of effort and patience. Self discipline is not my defining quality so it's as well that I've undertaken to read this for Shiny New Books, it's just the spur I need, and then within the first few pages Scott gave me something to think about. First of all young Edward Waverley, a bright and able young man, is being poorly educated - free "...to read only for the gratification of his own amusement, he foresaw not that he was looking sing for ever the opportunity of acquiring habits of firm and incumbent application, of gaining the art of controlling, directing, and concentrating the powers of his own mind for earnest investigation, -an art far more essential than even that learning which is the primary object of study." And then "...with the same powers of mind, the poor student is limited to a narrow circle for indulging his passion for books, and must necessarily make himself master of the few he possesses ere he can acquire more." The poor student in this case a better student than the richer Edward as lack of choice focuses the mind. First of all Waverley promises to be more exciting than those quotes perhaps suggest. secondly as someone who's been behaving precisely as Edward does, flitting from one book to another in an attempt to settle on something amusing or sympathetic to mood, it's a timely reminder to pull myself together and get on with it. I like reading for pleasure, lazily - who doesn't - but it does no harm to be reminded that making an effort has its rewards too. I haven't been reading as much as I usually might this year, though post clear out I'm feeling more enthusiastic about books again, so hopefully that's about to change (having said which I've spent all weekend looking at Twitter and reading election analysis, so maybe not just immediate change). 'Mistress Masham's Repose' was a postal book group choice that I put off picking up until the last minute and then raced through, thoroughly enjoying every moment. Curiously, for something that clearly looks like the children's book it is (to me at any rate, am I wrong about this?) everyone who saw it at work homed in on the Mistress part of the title before being deeply disappointed to learn it was not along Fifty Shades lines. I don't doubt they would all be better for reading T. H. White rather than E. L. James. Since reading 'H is for Hawk' last year White has been high on my to do (to read?) list, I even got as far as buying a copy of 'The Once And Future King', but am now pleased to have started with 'Mistress Masham's Response'. It's short, funny, and thoughtful; the sort of book which works as well for adults as for children, and has been a perfect introduction to White's work. Maria is a ten year old girl, heiress to the vast but derelict Malplaquet palace, and - in the best tradition - she is an orphan entrusted to the care of two deeply unpleasant individuals. Mr Hater (splendid name) the vicar and Miss Brown a particularly nasty governess. Mr Hater used to be school master, the sort who liked to beat boys, and Miss Brown was his matron. Mr Hater drives a Rolls Royce, suspiciously considering his official source of income, and Miss Brown is given to considering what would happen if Maria were to meet with an accident. 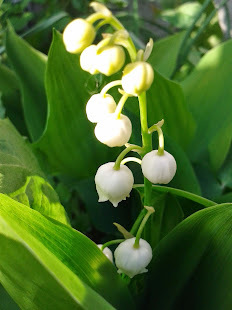 One day whilst out exploring the grounds Maria discovers a colony of Lilliputions (kidnapped after Gulliver's return by the captain who picked him up, and used for exhibition purposes until they managed to escape and live in peace for 200 years until Maria finds them). The friendship which grows between Maria and the Lilliputions eventually leads to their discovery, attempts to entrap them and dispose of Maria, and finally the reinstatement of her inheritance. It also lets White muse upon how we treat those we see as lesser than ourselves whilst having quite a bit of fun in the process. For me the stream of references to 18th century writers, artists, actors, and architects - some of them relativley obscure - was perhas more of a pleasure than it would be to a much younger reader but the real joy is in how White describes the world. He makes it magical, sometimes dark and terrifying - it's full of predators if you're 6 inches tall - but always magical. 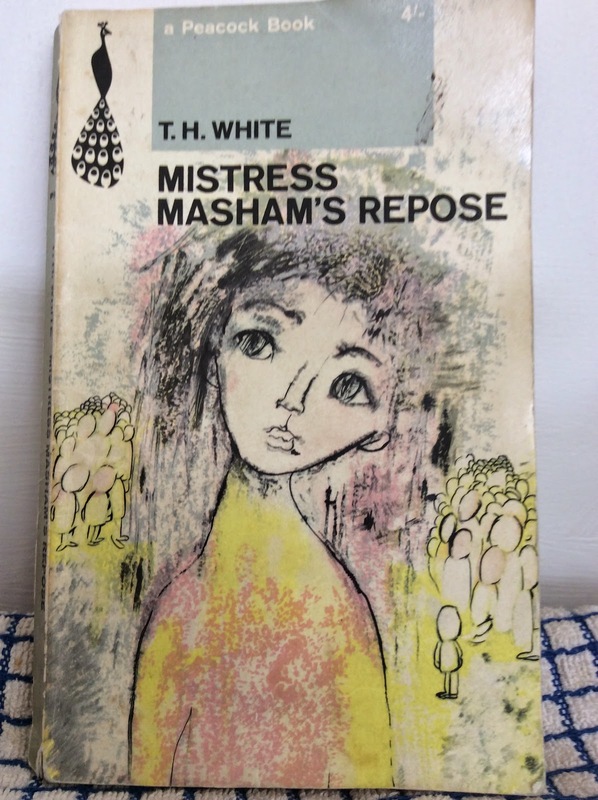 Everything I know of White as a person comes from 'H is for Hawk', but it's more than enough to add something to the reading of Mistress Masham's Repose. Malplaquet is apparently based on Stowe where White first taught and then later lived in a cottage in the grounds - as he has a character (the professor) do here. 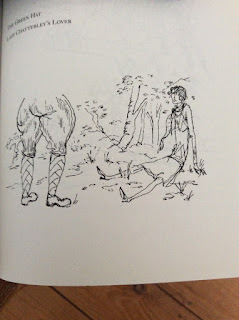 In Hawk, Macdonald suggests he had to curb his own sadistic impulses when it came to punishing boys, which makes the repulsive Rev Hater interesting (his predilection for corporal punishment is mentioned a couple of times), mostly though it is still the delight in the way he describes the landscape that makes this book a joy. It's worth hunting out. This week has mostly been taken up with the shock to the system that is returning to work after ten days of relative indolence (those wine bottles don't put themselves on the shelf) and an unexpectedly emotional general election. Meanwhile my Facebook feed has been awash with links to the photographer Tom Kidd's Shetland pictures. Taken in the late '70's early '80's they show the islands at a point of profound change. It's very much the Shetland I remember from early childhood so my view is somewhat nostalgic. The knitwear is fabulous (it's the only thing that makes me wish these pictures were in colour) but the great thing is seeing a record of a community poised between a very traditional past and a brave new world of oil based prosperity. 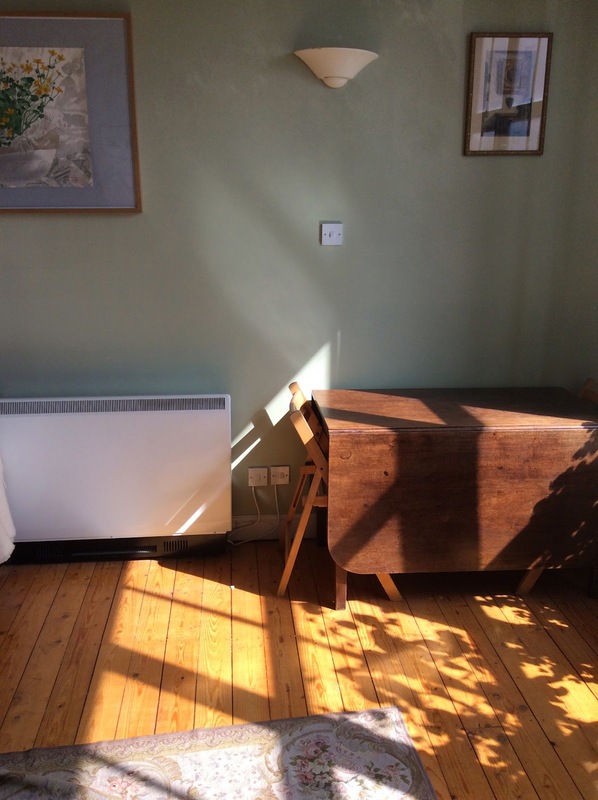 Eight years ago I came home after a May Day weekend away (it was D's birthday, the first we had spent together, the next year I lost my job on the same day) to find I'd been burgled. As these things go I think I was lucky. The damage was minimal and the insurance company made things easy. I lost most of my jewellery but the burglar left the watch my mother gave me when I graduated and the kilt pin my father gave me when I was 21 (though he had the gold bracelet dad gave me for the same occasion). Camera's went but as one still used film and the other was a pocket affair nowhere near as good as the camera function on an average smart phone that was no great loss, and the handful of dvd's that got swiped weren't even mine. The most annoying thing was a carpet bag suitcase that I didn't realise was missing until I went to pack for a holiday. The reason so little went was partly because I don't have much that's attractive to burglars (I guess the resale value of Emma Bridgewater mugs and virago modern classics is limited on the streets) and partly because my burglar didn't 'do stairs' (I quote the police). He liked to climb, so had shinned up the drainpipe to my 1st floor flat, chucked stuff in my handy carpet bag, dropped it out the window (so nothing breakable) and left the same way. He was caught some months later when he robbed a 4th floor flat, the climb must have made him hot enough to take his coat off, he left it behind - complete with name and address in it. The point of the story for me is that it made me reassess my relationship with the stuff around me. I have a lot of stuff, I love decorative objects to look at, can't help but collect bits, and like my father hate to throw anything away in case it comes in again (by which we mean useful, rather than fashionable. We are not particularly fashion conscious people). Post burglary I'm more aware of my attachment to things and also less attached to them. Most things can be replaced, if not exactly than approximately, and happily the handful of bits I would really miss are of value only to me. 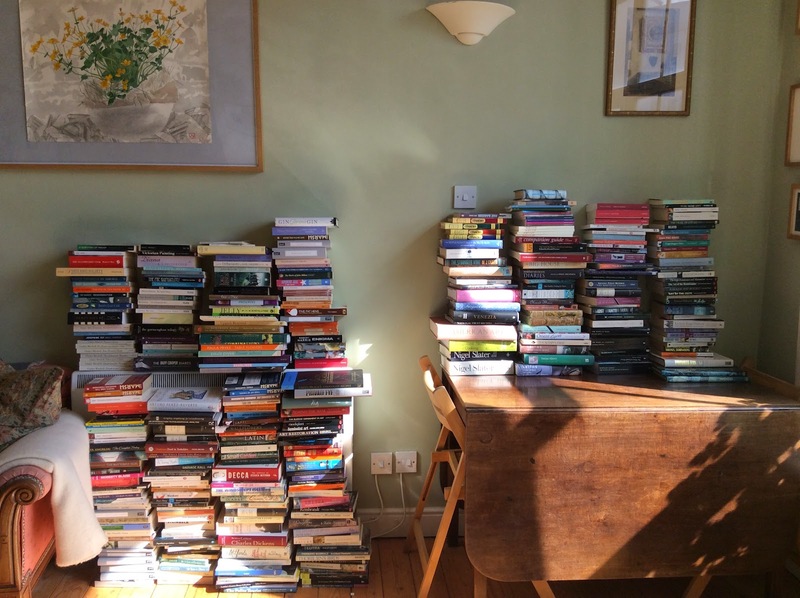 In a burglar proofing move most of my worldly goods are books (good luck to the thief who wants to haul them downstairs), even in the event (God forbid) of fire or flood they wouldn't be to hard to replace. Meanwhile since I developed a love of second hand books and started blogging the number of books in my small flat has exploded. Whenever I've tried to have a clear out before I've managed about 30 titles before giving up. This time I really went for it and got rid of almost 350. It was easy enough to sort out the ones to go (though I had an inexplicable pang over the Duff Cooper diaries - not sure why that was where the line proved to be, and I can always borrow my mothers copy). Easy enough to call the second hand book people and arrange a sale. Quite odd when the books actually left the building, and also a bit weird taking money for them. It's a modest amount of cash; enough to do something nice with, not enough to need to be used responsibly - but most importantly I have some space back (probably for more books). It's also a timely reminder not to let the desire for stuff to take over, or to allow the amount of things gathered to become overwhelming. 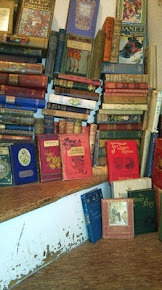 My books went to Astley Book Farm. They're to be found in the middle of George Elliot country (near Bedworth) and are worth a visit if you're ever in the area. I've been enjoying a week off, the original plan was to go away but this years holidays have not matched up with my partners at all, the second plan was to read a lot, but I haven't quite done that either. What I have been doing is sleeping, catching up with people, and also catching up with myself a bit and it's been great (another couple of weeks would be even better). 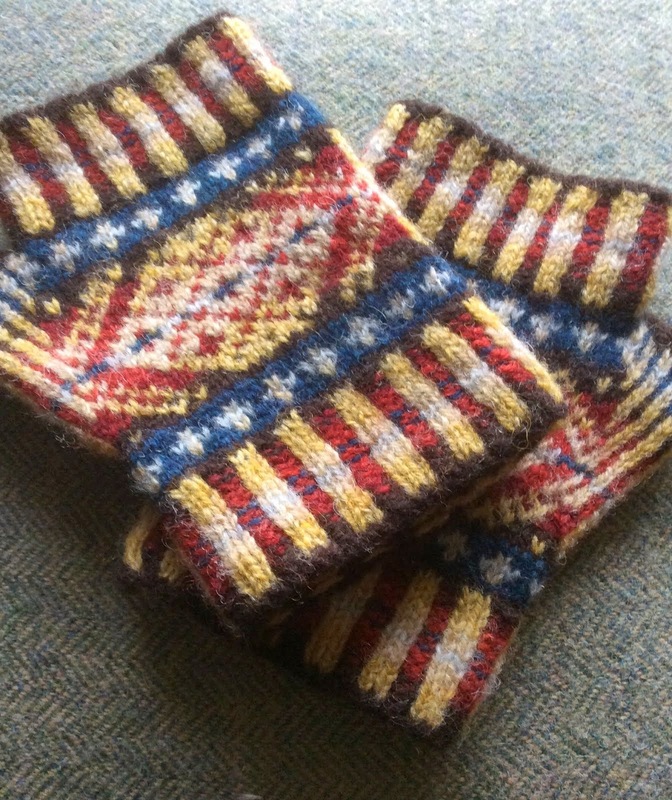 I'm still knitting and have embarked on, what is for me, the ambitious project of making a cushion cover. 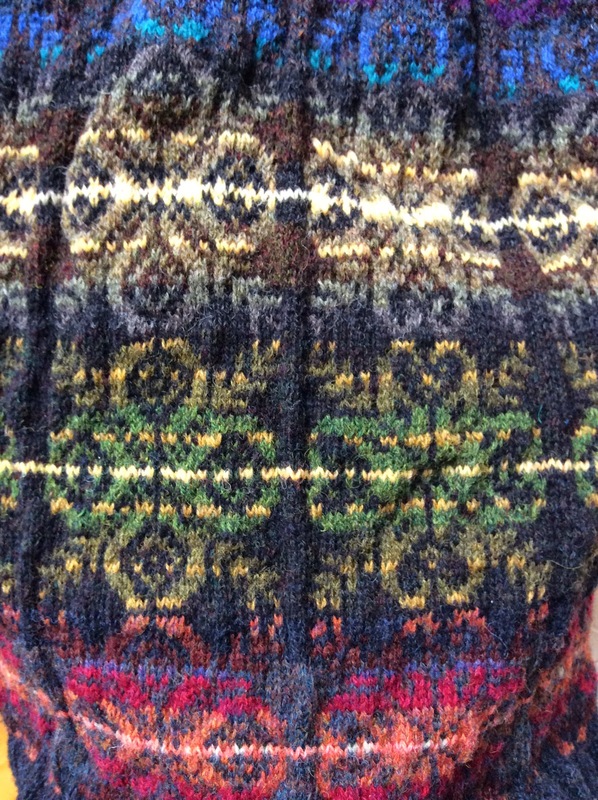 I'm roughly half way through, it's based in some traditional Shetland patterns and the thinking behind it was to play with some of the colours I bought back in March and get a better sense of how they work together. Not always in the way I expect they will is the answer, the good thing about a cushion is that by the time it's being sat on less pleasing bits won't really matter and meanwhile I think my skills are improving a bit. I also rescued a huge quantity of rhubarb from D's garden, or perhaps more accurately rescued the garden from the rhubarb which is (to put it mildly) thriving. So far I've made muffins, and a mystery recipe called spiced rhubarb. It calls for 3 pounds of rhubarb, a pint of vinegar, a pound of Demerara sugar, and a mix of cinnamon, ground cloves, nutmeg, ginger, and allspice, along with a generous pinch of salt. The instructions were boil until thick then pot. I'm not sure how thick it meant but I stopped at a runny mango chutney consistency. We think it will be good with goats cheese, pork pies, and maybe in a lamb tagine - there is a definite sweet sour thing happening with it, and if it performs as hoped there will be updates. Due almost entirely to imminent best before dates it also seemed like the perfect time to finally try and make a rye bread. I was overtaken by a fit of enthusiasm for this when I bought 'Scandinavian Baking' and managed to source most of the ingredients. 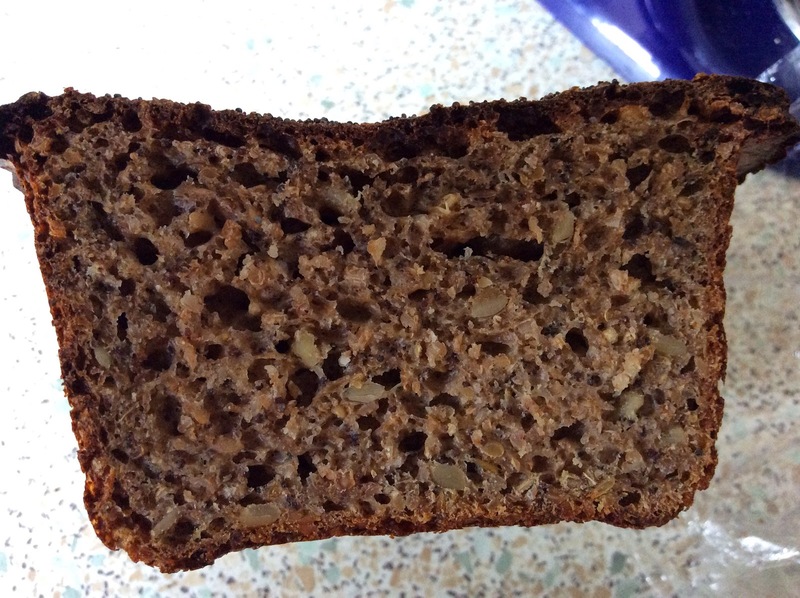 Pure malt flour/powder proved to elusive so a really dark bread is still beyond me - I'm wondering if a mix of marmite and horlicks would add the right malty note. When faced with an actual rye loaf I'm slightly less enthusiastic. It's an odd thing to make, the dough is a really unappealing grey and it's hard work to eat. Thin slices well buttered (and maybe with pickled herring and spiced rhubarb?) are good, but it has such a worthy appearance and seems likely to last such a long time... D is a fan though. I don't have a rye starter so used my wheat based one and added a bit of yoghurt to the mix (the rye starter recipe is flour and yoghurt). The bit I saved for the next loaf clearly lives so there will be more of this bread and maybe the habit will stick. I found this book unexpectedly disappointing. Wine, beer, and spirits (the selling of) are my day job and of those 3 categories spirits, specifically gin and whisky, is the bit that's most fun to work with. When it comes to wine my customers generally (though not exclusively) look for a bargain. If it's not on offer interest in it is limited. When it comes to spirits that changes, and because gin has rapidly expanded as a category over the last few years it tends to be where we have the most interesting conversations, and where price is very much a secondary consideration. 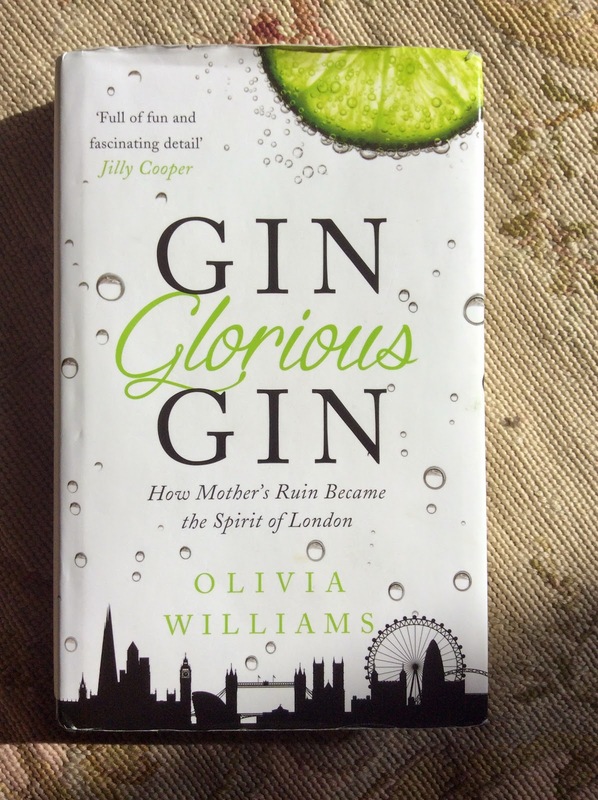 A really good book about gin is due. My first problem with this one is my problem rather than the books - it focuses far to much on London for my purposes. As this is something that Williams set out to do (How Mother's Ruin Became the Spirit of London) I shouldn't complain about it. London gin is a style rather than a geographical indicator though, and I want something that examines gin culture, especially contemporary gin culture, across the country (and maybe also Europe, gin is big in Spain too, and then there's Holland where we got it from in the first place). Discussion of specific bars and bar tenders (mixologists...) who are good now, or at least where good when the book was being researched, is of limited use to me and will quickly date. The bigger issue however is that I felt the whole book was a bit sloppy. Silly errors (the booking office bar in the St Pancras hotel looks over St Pancras, not Kings Cross) should have been picked up. There is no index which is annoying, one would have been very helpful, I especially wanted to look up Sipsmith's distillery again). Someone is delighted to find the sweetest Seville oranges - which seems to me to be like talking about sweet lemons, and South American wines didn't become big in the UK in the 1960's. These are little things but as they started to add up they undermined my faith in some of Williams other broad statements, and eventually the whole book. On the plus side it's a fairly entertaining read, it makes me want to try a few of the gins I haven't got round to yet, and she paints a vivid picture of a drunken 18th century London. I know I get pedantic about details, another reader would be far more relaxed about things that annoy me, but in the end I feel a little more care would have made a much better book.